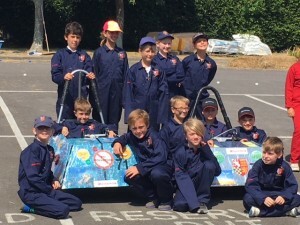 Last Saturday, children from Years 5 and 6 took part in the Locality Goblin Kit Car event held at River Beach School. Lots of the children were able to race the cars and they had a great deal of support from parents and family members. We came away with a 1st place trophy!